Now you can curl any length and type of eyelashes, even falsies! Patent pending, the i•ENVY 360.. 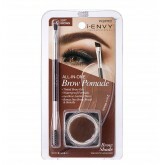 The ultimate brow kit lets you achieve that perfect bold brow look in just 30 seconds. With the perf..
All the tools you need to groom and shape your eyebrows into beautiful frames for your eyes, without..
All-in-one kit for perfectly defined brows. Featuring two brow powders to customize your color, sten.. 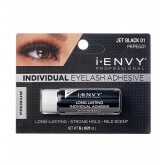 This lash applicator with pusher tip makes applying lashes a breeze. Features bulls-eye shaped appl.. This semi-permanent individual lash glue is enriched with protein and perfect for placing individual..
Coming in short and medium, the Classic Knot Free collection gives true invisible lash placement. Co.. Looking for reliable? We got you. 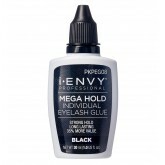 This strong, long lasting glue perfectly holds individual lashes. 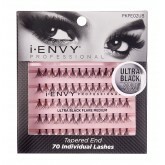 ..
Want 200% more volume than regular individual lashes? We get it. (And now you’ve got it.)Works.. 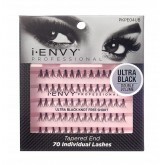 This value pack featuring 280 individual lashes in three lengths means you can customize your look t.. Choose how loud your lashes go with Trio. This collection lets you turn up the volume to your liking.. 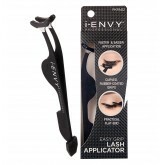 Pointed, curved metal lash applicator for professional use in applying lashes. Suitable for use with..
For when the occasion calls for a transformation, go bold, be dramatic and unleash your inner diva w.. If you’re a two-or-more strip lashes per eye kinda gal, get into our brand-new collection of v..
Alluring, bold and dramatic, this collection is inspired by old Hollywood glamour. Because why shoul.. 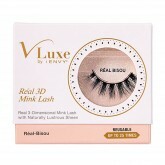 These maximum density lashes are designed for you to put your edgiest eye forward (no endless coats ..
From lashes with a sheer, spiky effect, featuring longer hairs with a natural blend at the ends, to .. Create your own volume with Quattro style lashes. Add one or two sections for a little, or all four ..
Get the ultimate in natural-looking volume with the So Wispy collection. 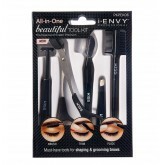 Made from 100% premium huma..
Voluminous & full dramatic accent for the dark smokey eye style. Features & Benefits: Re..